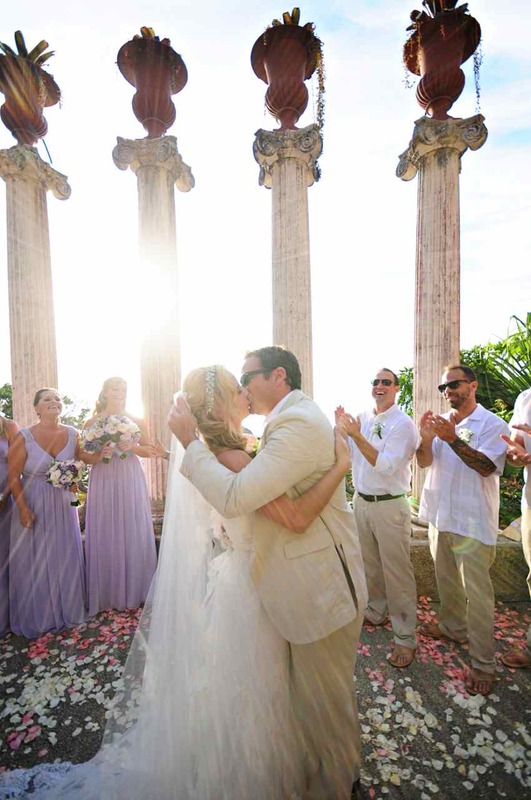 The Amphitheatre at Villa Caletas was the backdrop for Summer and Chris to tie the knot. It’s an amazing place to get married with an incredible view of the Pacific Ocean. Sunsets are spectacular. The colors are often a rainbow which is a show in itself changing every minute. Friends and family traveled from California to be part of this event. 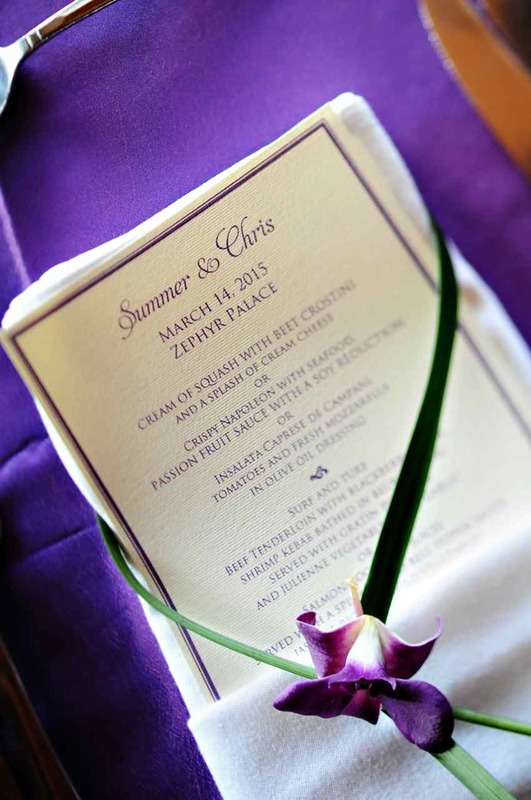 The romantic wedding featured ivory, light pinks and purples. The decor for the ceremony did not distract from the architecture of the amphitheatre. 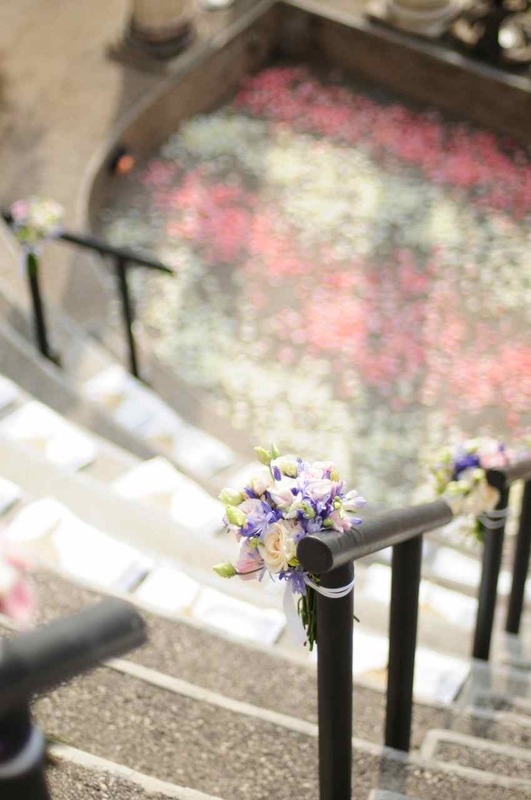 Rose petals in covered the floor while flowers decorated the handrails. 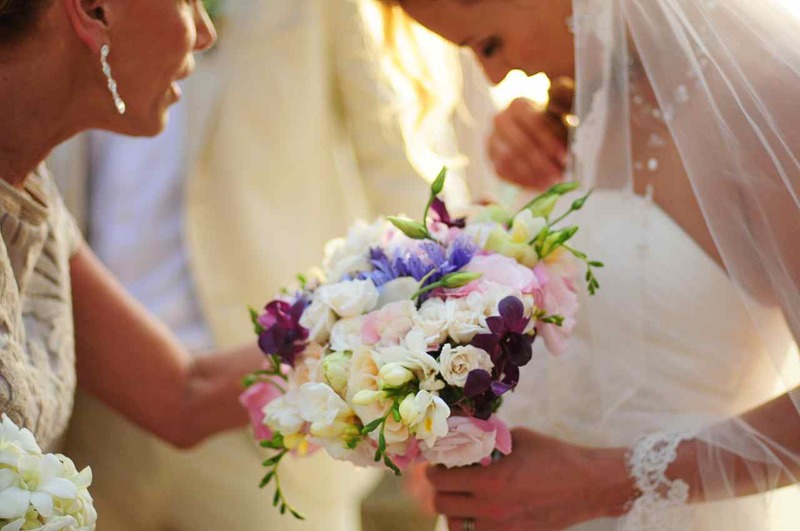 The bouquets were soft and featured orchids. A cocktail hour was held on the terrace with a dj playing music for the ceremony as well as the reception which followed. 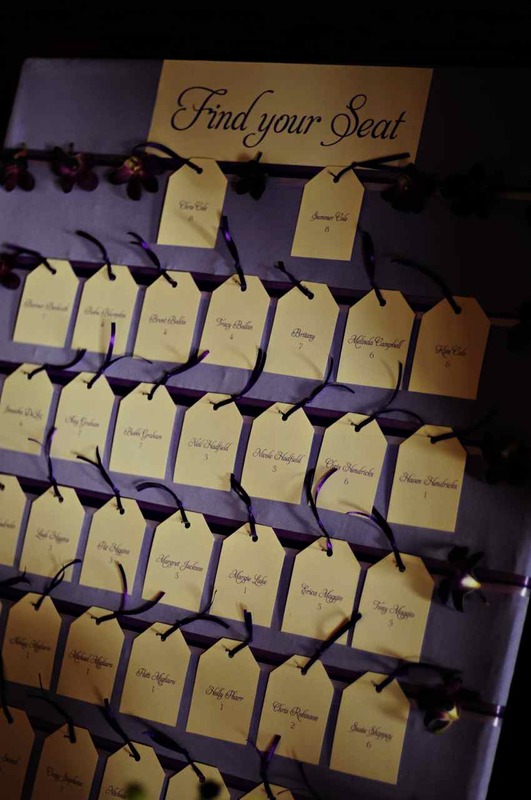 Guests found their tables via a seating board and were asked to leave a “tip” for a happy marriage.
. After dinner there was dancing on the terrace and a photo booth. 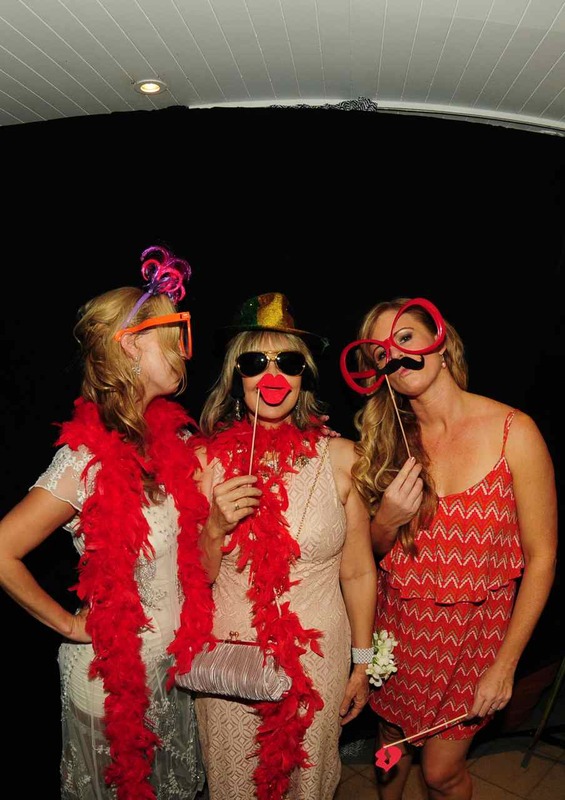 Everyone had a great time posing with their friends. The surprise of the evening were the fireworks. 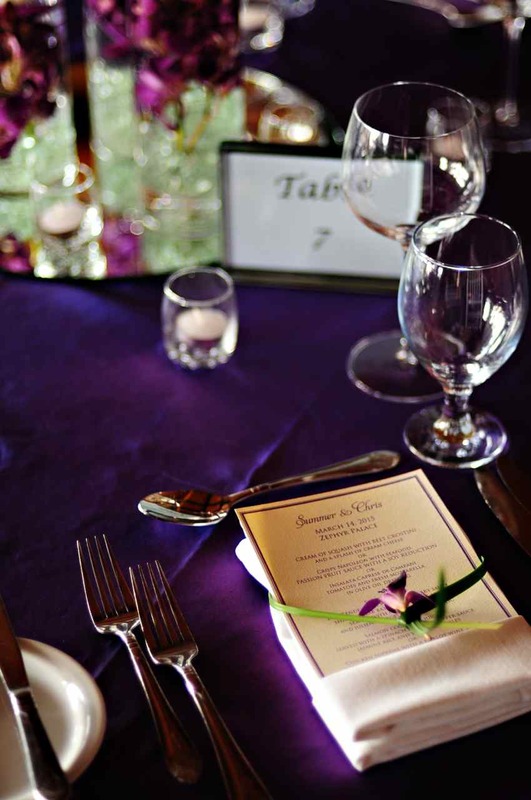 It was the perfect way to end this unforgettable wedding celebration. 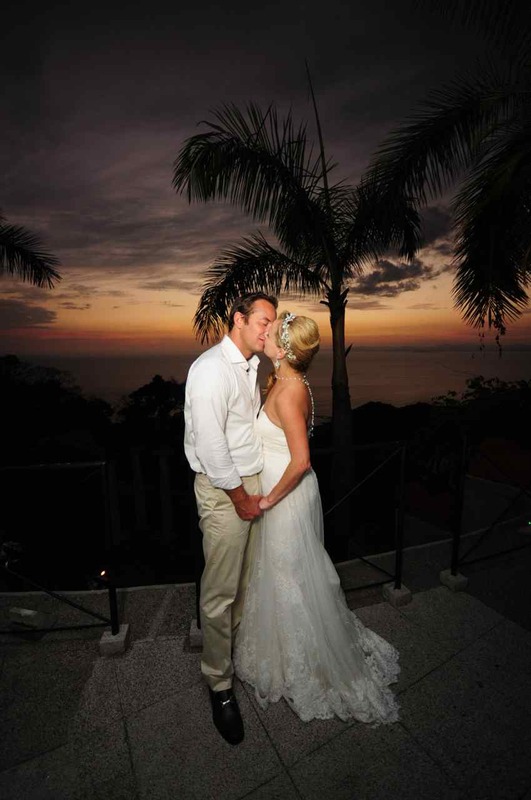 Thanks to El Velo Photography for capturing Summer & Chris’s wedding at Villa Caletas. 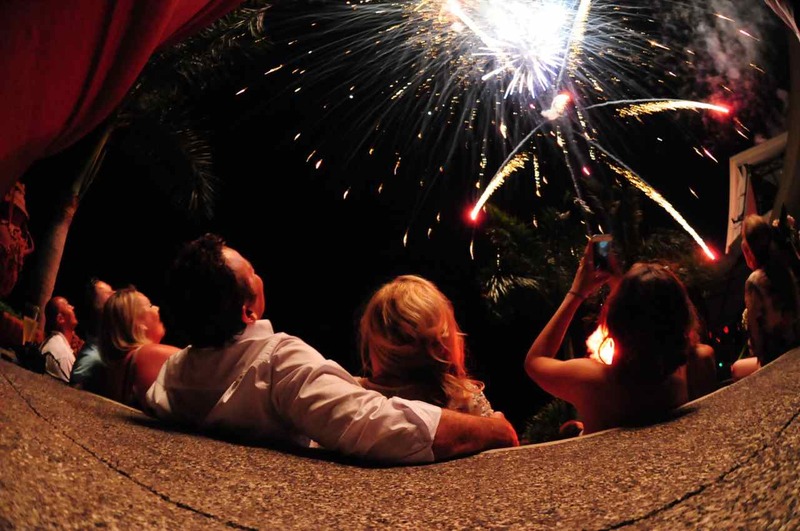 This entry was posted in Seating Cards, Villa Caletas Wedding, Wedding Ceremony, Wedding Fireworks, Wedding Flowers, Wedding in Costa Rica, Wedding Locations, Wedding Music, Wedding Planning, Wedding Reception by Randy Gritz. Bookmark the permalink.